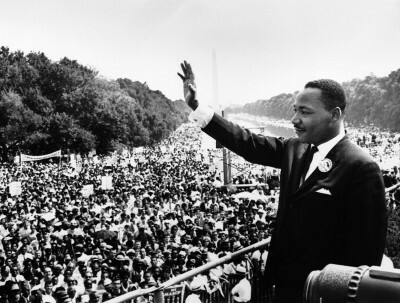 MLK QUOTES: The Best Things Dr. Martin Luther King Ever Said – CHARACTER COUNTS! On some positions, Cowardice asks the question, “Is it safe?” Expediency asks the question, “Is it politic?” And Vanity comes along and asks the question, “Is it popular?” But Conscience asks the question “Is it right?” And there comes a time when one must take a position that is neither safe, nor politic, nor popular, but he must do it because Conscience tells him it is right. As my sufferings mounted I soon realized that there were two ways in which I could respond to my situation — either to react with bitterness or seek to transform the suffering into a creative force. I decided to follow the latter course. We will never have peace in the world, until men everywhere recognize that ends are not cut off from the means, because the means represent the idea in the making, and the end in process, and ultimately you cannot reach good ends through evil means, because the means represent the seed and the end represents the tree. I’ve seen too much hate to want to hate, myself, and every time I see it, I say to myself, hate is too great a burden to bear. Somehow we must be able to stand up against our most bitter opponents and say: We shall match your capacity to inflict suffering by our capacity to endure suffering. We will meet your physical force with soul force. Do to us what you will and we will still love you…. But be assured that we’ll wear you down by our capacity to suffer, and one day we will win our freedom. We will not only win freedom for ourselves; we will appeal to your heart and conscience that we will win you in the process and our victory will be a double victory. Human progress is neither automatic or inevitable. Even a superficial look at history reveals that no social advance rolls in on the wheels of inevitability. Every step toward the goal of justice requires sacrifice, suffering and struggle, the tireless exertions and passionate concern of dedicated individuals. If a man hasn’t discovered something he will die for, he isn’t fit to live. Everybody can be great because anybody can serve. You don’t have to have a college degree to serve. You don’t have to make your subject and your verb agree to serve…. You don’t have to know the second theory of thermodynamics in physics to serve. You only need a heart full of grace. A soul generated by love.